This is an uncoiled cable that connects a telephone to either a handset or a microphone. The cable is flat, whereas Polycom's cables are round. The ends of the cables are reversed, which means pins 1, 2, 3, 4 from one side are wired to pins 4, 3, 2, 1 on the other side. This is a straight (uncoiled) cable which connects a telephone to a handset. 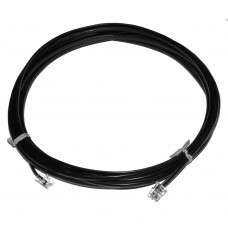 It is compatible with the Polycom conference phones, where such cables connect the Polycom system to extension microphones. This is not a cable for connections between a telephone and the wall jack. This is a flat cable like standard telephone cables, whereas the official Polycom cables are round. Even though it does not fit into the rear notch of Polycom microphones, our flat cable still looks very discrete and professional, to the degree that most people will not realize that it is not a cable from the manufacturer. The pins are reversed, so that the first pin on one end of the cable connects to the fourth pin on the opposite end, which is normal for such cables. Beware that so-called "straight through" cables that are advertised elsewhere will not work with the Polycom system, or with telephone handsets. The cables may be up to 3 inches longer than expected, but they are never shorter. 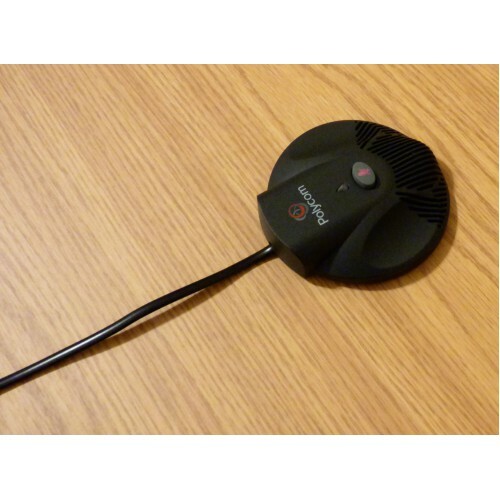 Note: The extension microphone (from Polycom) that is shown in one of the pictures is not included. The product being sold is merely the cable with adapters on both ends. Returns are only accepted for defective cables. See the following warranty section for details. Shipping costs are non-refundable unless we ship the wrong product. 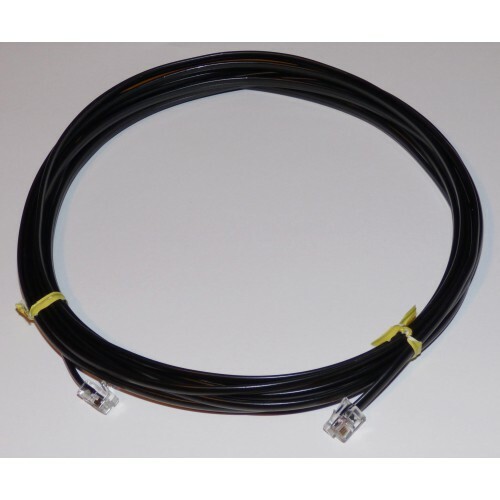 We are offering a 1-year warranty for these cables with the following limitations. A defective cable can be returned for a free replacement, so long as it shows no signs of abuse. Customers can call our toll-free number to discuss the return procedure, and our toll-free number will be included with every cable.